Sandra Chandler - Director of Choral Activities at Alexander High School, Douglasville, GA.
Sandra’s choirs have performed at Carnegie Hall and the Cathedral of St. John Divine, New York City, have participated in international concert tours throughout England and Ireland, and have performed in festivals in Hawaii, Boston, Chicago, Los Angeles, Orlando and additional locations. Her choirs and productions have received superior ratings and critical acclaim including nominations in the Shuler Awards. Sandra was chosen by her peers as “Teacher of the Year” for 2011-2012 and system winner Star Teacher in 2006. Prior to teaching at Alexander, Sandra taught at schools on all levels in Georgia and Texas. Sandra graduated from Shorter College, Rome, Georgia with a Bachelor degree in Music Education, studied at the State University of West Georgia, and received her Master of Arts Education degree from Central Michigan University, Kalamazoo, MI. 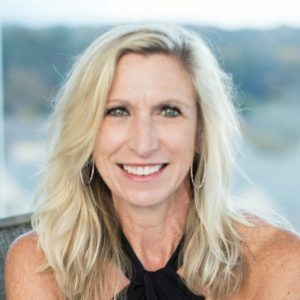 She is an active participant and holds professional membership in the American Choral Directors Association, the National Association for Music Education, and the Georgia Music Educators Association. Sandra resides in Lithia Springs, Georgia with her husband Keith. Dr. Douglas Crawley (BM, MCM, DMA) - Associate Professor of Music and Worship for the Liberty University School of Music. 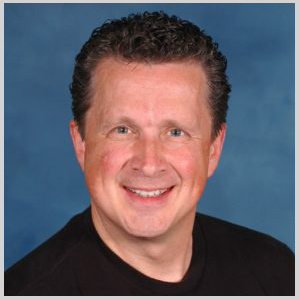 Dr. Douglas Crawley (BM, MCM, DMA) is Associate Professor of Music and Worship for the Liberty University School of Music, where he formerly served as Associate Dean of Graduate Music Studies. He has conducted performances of opera, oratorio, musical theater, gospel, sacred choral masterpieces, and pop concerts across the USA, Europe and South America. His work has been heard on national broadcasts for television and radio and on numerous recordings. He has taught as an adjunct professor for other universities and seminaries, and served as a clinician and conductor for festivals, workshops, churches, and concerts. Dr. Crawley is a member of the American Choral Directors Association (ACDA). As a bass-baritone, Doug’s credits include solo engagements with the Louisville Orchestra, Lexington Philharmonic, Palm Beach Symphony, Danville Symphony, Charlotte Philharmonic, Carolina Baroque, Dayton Bach Society, and the Dome Theatre in Brighton, England. Doug holds degrees from the schools of music of Indiana University Bloomington (B.M. Voice), Southwestern Baptist Theological Seminary (M.C.M. Conducting), and the Doctor of Musical Arts, Performance Certificate, and Award for Outstanding Performer from The Southern Baptist Theological Seminary. Post-doctoral work, additional study and research venues include Liberty University, The University of North Texas, Cambridge University, and Oxford University. His published research has included the music of British composer Gerald Finzi. Dr. Crawley currently serves as Worship Pastor for First Baptist Church, Richmond Hill, Georgia, where he resides with his wife, Debra. They are the proud parents of three grown children and five grandchildren. Mr. Arthur DeWeese received his Bachelor of Music Education degree, Masters of Music Education, and 30 hours above a Master’s (Rank I) with an emphasis in Voice, from Murray State University. He is past president of First District Kentucky Music Educators Association, and a Past KMEA State Choral Chair. A Past Chair of the 1st District Choral Division of KMEA, past member of the KMEA Festival Commission, serving as the Festival Manager for over 12 years. He served as treasurer for Kentucky Chapter of the American Choral Directors Association for six-years, President of KYACDA for two years and Vice-President for two-years. Mr. DeWeese served on the planning committee for the Southern Division of the American Choral Directors Association Southern Division Conferences in Louisville, 2008, Interest Session Chair in Memphis, 2010, and was co-interest session chair in Winston-Salem, 2012. Mr. DeWeese retired from Paducah Tilghman High School in June of 2012, after completing over twenty-seven years of service as a Music Educator in Kentucky. He was Director of Music/Organist of Paducah First Baptist Church, until his resignation in May of 2012, where he served on staff there for over twenty-three years. He was named Director of Music Ministries at Broadway United Methodist Church in Paducah, June 1, 2012, where he currently serves. The Chancel Choir at Broadway United Methodist performs at least twice a year with orchestra presenting major works which have included Messiah (Handel), Christmas Oratorio (Saint-Saens), and Magnificat (Rutter). He served as Arts Consultant for McCracken County High School, from the fall of 2013 thru 2016, and was guest conductor for the Southern Illinois University Festival Choir in 2014. DeWeese was the recipient of the KMEA State Award for Teacher of the Year in Secondary Schools Music Education in 1998. 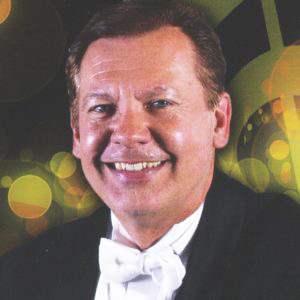 In 2000 he was named by the National Music Educators Journal as one of the most outstanding secondary music educators in Kentucky and the nation. Mr. DeWeese was named the 2003 Kentucky Outstanding Teacher for Secondary schools by Murray State University. He was named KMEA Outstanding Secondary Teacher for the First District in 92-93, 96-97, and 2004-2005 school years. DeWeese was awarded the Robert K. Baar Award for Choral Excellence in July 2005, by the Kentucky Chapter of the American Choral Directors Association. He is the 2007 recipient of the Joseph B. Whitehead Educator of Distinction Award for exemplary dedication to the field of education. Mr. DeWeese was named the First Outstanding Fine Arts Alumni by Murray State University, October 2011. He was awarded the KMEA First District Citation of Service Award in May 2012. While at Paducah Tilghman, his choirs received Distinguished ratings for seventeen years straight at the KMEA large ensemble Performance Assessments. The choral department won numerous awards and made their Carnegie Hall Solo Debut in March 2010. They traveled to Europe numerous times and sung Mass at the Vatican in Rome and St. Mark’s Cathedral in Venice, Italy. Mr. DeWeese holds membership in the Kentucky Music Educators Association, American Choral Directors Association, and the American Guild of Organists. He is married to Debbie DeWeese and they have one daughter, Nicole Helm, an elementary music educator at Creekside Elementary in Hardin County. They are the proud grandparents of two beautiful granddaughters and one grandson.